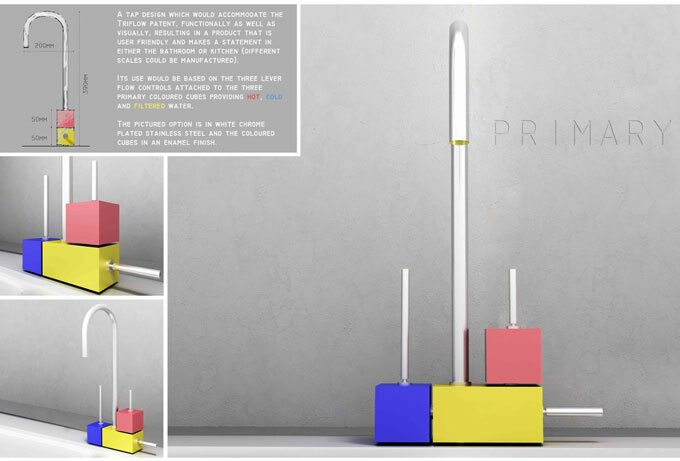 Since its launch in 2009, the Triflow Future Talents competition has encouraged students and young designers to pioneer new concepts in kitchen and bathroom taps. Innovative design and engineering solutions are the cornerstones of Triflow Concepts’ success. In 1992 Triflow Concepts launched the Triflow, the world's first tap to deliver not only hot and cold, but filtered water through a dedicated waterway within the same spout. The Triflow Future Talents competition builds on this legacy and supports the best emerging design talent. Triflow Future Talents is a competition which aims to encourage students and young designers alike to pioneer a new kitchen or bathroom tap or accessory. Contributing to the prize's success have been the prestigious members of the jury who have sat on the judging panel over the years. These design experts have included Zaha Hadid, Tord Boontje, Richard Found, Caroline Roux, Philippa Clark and Paul Priestman to name but a few.